Home / Telaah Kitab Suci / Apa itu Eksegese ? The process of careful, analytical study of biblical passages undertaken in order to produce useful interpretations of those passages. Ideally, exegesis involves the analysis of the biblical text in the language of its original or earliest available form, since any translation presents at least a slight barrier to precise definition of the intent of the passage’s words. The passage involved may be of virtually any length, subject to the interest of the exegete. The goal of exegesis is to know neither less nor more than the information actually contained in the passage. Exegesis, in other words, places no premium on speculation or inventiveness; novelty in interpretation is not prized. In most circles, exegesis is also part of the theological enterprise, functioning as a basic means of achieving accuracy in interpreting the word of God. To a considerable degree, the actual task of exegesis involves examining a passage as carefully as possible from as many angles as possible. In practice this means asking of the text all the questions whose answers might give insight into the text’s meaning. For convenience, we may group the process of examination into twelve major steps, arranged in an order that lends itself to a logical progression through the entire exegesis process. The steps are interrelated and should not be viewed as independent stages guaranteeing adequate results when followed through once. An exegesis article or paper (a selective presentation of the results of the process) may be organized in any of several formats, including the verse-by-verse or section-by-section “commentary” style, or according to groupings thought most important by the writer. The proportion of attention one must be prepared to give to any given part of the process may vary with the passage(s), since different passages demand different levels of concentration on issues. In other words, no two written exegeses will look exactly the same since no two passages are exactly the same. A first step in virtually any exegesis is the establishment of the text. By this is meant first determining the length of the passage in terms of its logical beginning and ending point, which must be established with care lest an original author’s meaning be distorted by beginning or ending the analysis in what is in fact a midpoint according to the original author’s thought. Secondly, establishing the text requires determining to the best degree possible the original wording of the passage. Before the invention of the printing press, accidental miscopies readily accrued to the various manuscripts. Getting back to the original text, insofar as this is possible, involves examining all relevant evidence available and inducing from it the most likely original wording. This involves asking the basic question: “What original wording would best account for the subsequent history of the text?” Among the pieces of evidence employed in this task are the many ancient translations. In the case of the OT, these include the Septuagint (LXX, the Greek OT) and its successive revisions (such as that of Theodotion, Aquila, and Symmachus, as well as Origen’s Hexapla), the Aramaic, the Syriac (Peshitta), the Latin (including the Vulgate), and early Hebrew sources such as the Dead Sea Scrolls. In the case of the NT, textual reconstruction relies largely on comparisons of Greek manuscripts. There are more of them and they are dated comparatively close to the presumed original, as compared to the Hebrew manuscripts of the OT. Manuscripts in such languages as Coptic, Latin, Syriac, Armenian, and Ethiopic are also consulted, though the manuscripts in these languages are not usually considered as important as those in Greek. Many textual decisions cannot be made on the basis of a mechanistic comparison of ancient manuscripts, however. Textual criticism always involves the exegete’s best judgment about what was likely to be the original wording, and this involves becoming so familiar with the book in which the passage is contained, and with its author, that one can reasonably rule out wordings that might seem to be suggested by scanty or faulty manuscript evidence, inconsistent with what the rest of the book or author’s works contain. The text is first established tentatively, and reviewed as to its correctness during the remainder of the steps of the exegesis process. Since the languages of the Bible are no longer spoken (modern Hebrew, Aramaic, and Greek differ considerably from their ancient counterparts), exegesis invariably involves translating the ancient text (once established) into the desired modern “receptor” language, i.e., the language of the exegete and his or her audience. One measure of the degree to which the exegete has correctly understood the passage is the degree to which he or she can translate it convincingly into a modern language. A so-called literal translation is not necessarily the goal, since literal translations provide wooden, word-for-word representations that do not reflect normal idiomatic speech in the receptor language. Instead, the goal is a translation so natural and appropriate to the receptor language that the exegete can fairly say that the translated text conveys the same thing to the mind as does the original text. There are many variables in this part of the process. Poetry can be difficult to translate satisfactorily since some of its impact is contained not in the meaning of its individual words, but in the beauty of how those words are chosen and put together. Poetry inevitably loses some of its effectiveness, therefore, in translation. Since virtually all exegetes rightly attach more importance to meaning than to form, that which is poetry in the original language is routinely—and necessarily—translated into what amounts to prose in the receptor language. Investigating and identifying the historical context of a passage is a pivotal step in the exegesis process. Reconstructing this historical context helps provide the exegete with a potentially clearer sense of the meaning of the passage than would otherwise be possible, by providing some of the general knowledge that its original audience(s) relied upon to understand what was said and/or written. There are at least five substeps to this aspect of exegesis. (1) The historical background to the passage must be learned, including whatever can be known of historical events that preceded and in any way may explicate statements contained in the passage. (2) The foreground must also be investigated, so that anything that the passage led to or anticipated is not overlooked. (3) The social setting (in the ancient world) of the topics or assumptions in the passage needs analysis. (4) Any geographical contents or allusions must be explored, so that such specifics, if present in the mind of the writer, may be fully appreciated. (5) The attempt is made to identify as closely as possible the date of the passage’s composition, so that its historical context may be fixed with relative precision and its relationship to other datable passages explored as needed. This aspect of the exegesis process seeks to understand the implications of the position of a passage within a major division of a biblical book, and within the overall structure of the book itself. What does the passage immediately follow and precede? What does it depend upon that has already been said to the reader, and what does it tell the reader that subsequent passages will reflect in some way? 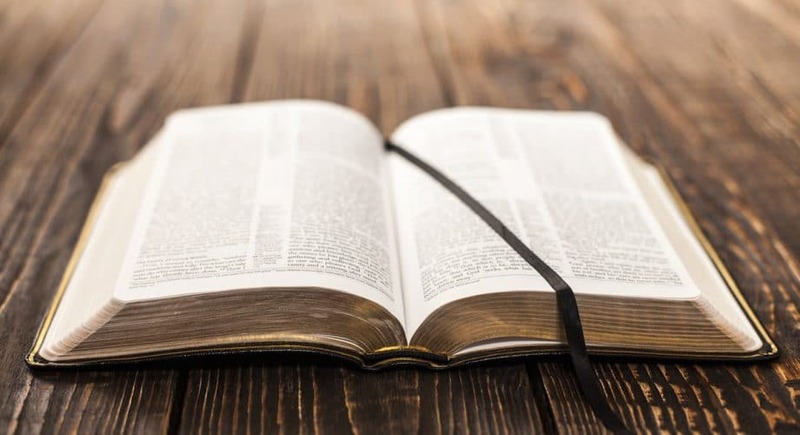 Any passage in any biblical book is either part of a structured progression of information (as in one of the historical books) or a particular instance of a type of literary unit among similar or different types collected in a biblical book (as one psalm in the Psalter). The author or editor of any book has presumably used some sort of criterion for the arrangement of the material as now found (even if that criterion is simple randomness or convenience of grouping according to the order in which the materials came into his or her hand), and any passage can somehow be identified by its contribution to that arrangement and its influence upon it. Conversely, some of the meaning of any statement or passage is derived from its position within a larger document, since meaning is at least partly a function of context. (4) analysis of authorship (whether or not the human author or editor can be identified and thereby his or her meaning and purposes can be further determined by comparison to other material produced by the same or similar author(s) or editor(s). Examination of the authorship will also include observations about any special features of style, vocabulary, motif, theological perspective, and the like—whether or not the passage’s human author can be known. There are many genres of literature, and any individual piece of literature will necessarily be characteristic of one (or more) of these genres. In the Bible eight major genres predominate: law, historical narrative, gospel (a unique type of historical narrative), illustrative narrative (e.g., parables and allegories), wisdom, prophecy, hymnody, and epistle. Along with these broad delineations of genre there are the two major stylistic determiners: whether the passage is prose or poetry (though some passages are a mix thereof. Of the basic eight, there are scores of further subdivisions, somewhat subjectively described by scholars, whose distinguishing terminology for the individual forms is not standardized. After one identifies the broad, general genre in which a passage is to be classified, it is then necessary to determine the specific literary form. For example, if the overall genre is that of a “record” it is necessary to specify which particular form of record is at hand (contract, letter, list, law, cultic ordinance, etc.). Within the form it may also be possible to identify a subtype. If the form is law, the subtype might be apodictic, or unconditional, law (as in the Decalogue), or casuistic law (the paradigmatic case law that predominates in the Pentateuch); a further subform might be criminal law as opposed to civil law; or law with a prescribed penalty as opposed to law without a specific penalty; etc. It is desirable to describe a form as specifically and narrowly as possible without making it one of a kind. A major benefit of form analysis is the opportunity to compare the specific instance under analysis with similar forms. This is lost if the form is defined to such an extent as to become unique. A form is identified by what it holds in common with other comparable passages; unique features, peculiar to the passage, may be present, but these should be noted as ad hoc rather than as characteristic. Identification of form may lead to a suggestion of life setting. An “individual psalm of thanksgiving,” the form of fifteen passages in the OT (mostly in the Psalter) was used by individuals to express their gratitude to God for deliverance from a misery or danger (judging inductively from all the information we have about such psalms). Thus, even when such a psalm is found without an indication of its purpose in the immediate context, we may still postulate the use to which it was put, simply because we can be reasonably confident that such psalms fit certain kinds of “life settings.” Overemphasis on life settings is not justified, however. Virtually any form can be reused or adapted for new purposes and in new situations, i.e., secondary or “adapted” settings. For example, a psalm originally designed for worship at the Jerusalem temple in the days of the Israelite monarchy could be used to express joy in God by Christians imprisoned in a Macedonian jail in the Roman era (Acts 16:25). It is necessary, finally, to analyze the completeness of the form in question, being alert to the possibility of partial or broken forms. A biblical writer need not provide all the features typically associated with a given form; to provide even a single key or characteristic feature of a form may be enough to clue the reader to that form. For example, the Gk verb eucharistoµ “I thank,” may be enough to alert the reader of a NT epistle that its author has begun the transition from the greeting section to the thanksgiving section characteristic of NT era letters. The presence of a vocabulary word like the Heb imperative hoÆsûi>eµnéÆ “save me,” may be enough to suggest to the reader that a psalm may be of the common individual lament type. Form analysis cannot reliably be used to date passages or to evaluate their historicity. Its primary value is in allowing for comparison with similar forms and for identifying those features of meaning shared by all such forms and thus contained within the particular form in question. For example, it is a rather well-established interpretational rule that parables, with few exceptions, have a single pedagogic aim—in other words, they make a single point. It can then be assumed in the case of any given parable that there will be a single point that the parable intends the reader to grasp, rather than many meanings. Such a conclusion is inherent to the proper interpretation of parables, which share this feature common to their literary form. Simple as it may seem, outlining is a process that helps the exegete represent the major units of information in a passage. For an outline to be useful, it must be a natural outgrowth of the passage, and not an artificial imposition of order on it. Both quantitative (sheer volume of material) and qualitative (significance of the material) factors must be taken into consideration in constructing an outline that represents fairly the import of the various components of the passage. It is normal to outline a passage with three to five major divisions, simply because, as learning theorists have frequently pointed out, the human mind tends to organize material that way. However, there may be many minor divisions, in units as small as individual sentences, clauses, and phrases, which may prove upon analysis to constitute internal structures important to the passage’s meaning. An outline should be as detailed as possible without becoming forced or artificial. Conclusions about overall structure can then be drawn. Any passage will be made up of meaningful thought patterns, which may be identified as to their key features (e.g., transitions, resumptions, central or pivotal terms, parallelisms, chiasms, inclusios, unique forms of phrase, and other such repetitious or progressive patterns). By design, poetry contains more striking structural patterns, especially repetition, than does prose. It is especially important to identify any structural patterns that are either unexpected or unique in the passage. All patterns, however, must be evaluated and the results interpreted for purposes of further refining one’s understanding of the meaning of the passage. It is normally helpful to move from largest to smallest units of structure (from passage to paragraph to sentence/verse to clause to phrase to term to word to sound) and where possible to identify how major or minor a given pattern seems to be in the passage. A pattern may be accidental rather than purposeful (e.g., the repetition of certain vowel sounds in close proximity to one another, or the repetition of a verbal root in two successive verses) and thus have no intended significance for the meaning of the passage. Major patterns are so obvious that it is hard to doubt that they were intended by the ancient writer/speaker and easily recognized by his or her audience. Minor patterns may be more subjective. One must be careful not to assume that a pattern visible on the printed page of a modern Hebrew or Greek Bible after lengthy analysis would have been noticeable on the page of an ancient manuscript or to the original hearers of a portion of Scripture. Naturally, patterns evident only in translations from the original are irrelevant to accurate exegesis. This is a special task in itself, yet absolutely necessary in the portions of the Bible that are written in poetry (almost one third of the OT; small portions of the NT). The exegete analyzing poetry must identify the parallelism (couplets, triplets, and occasionally quatrains), the scansion (the metrical pattern or cadence of the poetry), rhyme, assonance, acrostic or chiastic patterns, and metrical formulas (stock phrases employed to meet the demands of metrical patterns in given contexts), and must evaluate the interrelationship of these to the meaning of the passage. For example, Ps 19:1 (“The heavens declare the glory of God/ And the earth shows his handiwork”) does not make two different statements; i.e., that God’s glory is seen in the sky whereas his handiwork is seen in the earth. Rather, this synonymous parallelism, according to well-attested canons of Hebrew poetry, makes a single essential point, which may be paraphrased as: “The heavens and earth demonstrate God’s glorious handiwork.” The type of parallelism, in other words, is a factor in the analysis of the meaning, which is the goal of exegesis. Such linguistic devices as epiphora (repetition of final sounds), anaphora (repetition of initial sounds), assonance (repetition or juxtaposition of similar sounds), paronomoasia (play on words), figure etymologica (plays on word roots, often involving names), and other literary devices must be identified, and their use within the passage evaluated so that these factors will be neither ignored nor overemphasized as to their contribution to the meaning. Since grammar is the logical substructure of language, a correct understanding of grammar is essential to the correct understanding of the logic of statements made in a passage. The exegete must analyze the grammar of the passage under review, in the original, to determine if any grammatical ambiguities or uncertainties exist. It may be the case that a part of the passage is not certain as to its meaning because the interpretation of the grammar is difficult or debatable. Certain kinds of grammatical features are often important clues to meaning, including ellipsis, asyndeton, prostaxis, parataxis, anacolouthon, aposeopesis, and so forth. Orthographic and morphological analysis can provide important grammatical indices of meaning and sometimes even point toward the date of a passage. Orthography is normally more relevant to Hebrew exegesis than to Greek, since the OT was produced over a much longer period of time, during which Hebrew spelling habits evolved in a discernible manner. As a result, unusual orthographies may sometimes represent genuinely ancient forms preserved by tradition, or even by accident, through centuries of hand copying of the text. Since Hebrew spelling was partly reflective of dialect, it can even be the case that orthography gives clues as to geographical origin, as in the paronomasia of Amos 8:1–3, whose play between Heb qys\, “harvest,” and qs\, “end,” would have been most effective in N Israel, where both words were pronounced qeµs\ in Amos’ day, as opposed to the S (Judah) where the word for harvest was pronounced qayis\ and the word for end pronounced qeµs\. Commentators with insufficient knowledge of the grammar of the Bible’s original languages may commit a variety of errors, including mistranslation and faulty analysis of logic. Those unaware of the history of pronunciation of Hebrew, for example, sometimes infer the presence of rhyme on the basis of the medieval Masoretic vocalizations when the original pronunciations would have been quite different. Those unfamiliar with the special rules of grammar that apply to Hebrew poetry as opposed to those for prose sometimes misunderstand even the tenses of the verbs in poetic contexts. In NT Greek, likewise, failure to appreciate simple syntactical uses of common words can cause distortions in comprehension, as in the somewhat confusing translation of John 3:16, “For God so loved the world . . . ,” better translated “God thus loved the world . . .” It is highly unlikely that Gk houtos, “so,” in this context could mean “so” in the usually understood sense of “so much” but highly likely that it means “thus” in the sense of “in this manner” (referring to the manner of God’s love as described in John 3:14–15). A correct understanding of the meaning of the words and terms of a passage is essential to proper exegesis. It is necessary, first, to attempt to identify for the audience of the exegesis any words or terms whose meanings might not be obvious. Normally one works in descending order from entire clauses, where applicable, to individual words or even parts of words in seeking to provide precise definitions for the terminology. Terms such as proper nouns almost always deserve attention in a full exegesis. Naturally, it is the terminology of the original language that one is after—analyzing words in translation is of limited value. Eventually it is necessary to attempt to identify the key wordings of the passage—those that are somehow essential or pivotal, or else sufficiently opaque at first reading as to demand exploration. The number of difficult or pivotal words in a passage cannot be predicted in advance; it will be a function of the passage’s own uniqueness. The most important words must be studied carefully, via a process widely known as “word study,” by which all the potential meanings of a word or term are considered with the goal of determining which of them applies in the passage at hand. Additionally, any special semantic features must be identified and analyzed as to their meaning for the interpretation of the passage. Such features could include irony, anaphora, epiphora, paronomasia, metonymy, synecdoche, hendiadys, formulae, loan words, and etymological oddities. The science of semantics, which governs lexical analysis, demands careful effort on the part of the exegete. Naive approaches to defining words are still widespread in the world of biblical studies. The exegete must strive to avoid such common faults as illegitimate totality transfer (thinking that all or any of the potential meanings of a word apply to that word in any passage where it occurs), excessive reliance on etymology (thinking that the original or “root” meaning of a word stays with that word and is part of its meaning in every place it is used), and extracontextualism (finding a meaning for the given term in some usage far removed in time, circumstance, or ethos from the passage at hand and assuming that such a meaning “fits” the term’s use in the passage). In all lexical study, it is imperative that the meaning in the present context be given precedence over all other considerations. The fact that a word may be used 99 % of the time it is found in ancient writings to mean one thing is essentially irrelevant if in the context of the biblical passage under study it is used to mean something else. Any author may choose to use even a common word in an unusual way. Thus the final question must always be “How is it used here?” rather than “How does its use elsewhere tell us what it means here?” The latter question is not always entirely useless; it is, however, always a secondary question in lexical analysis to the question of meaning in the immediate context. By this point in the exegesis process, the exegete must draw together enough of the information provided by the results of the previous steps to begin to focus on the passage as a whole in terms of its overall “message.” To be sure, this is a subjective enterprise to some degree, but it is essential in light of the fact that in any passage the meaning of the whole is different from a mere compilation of findings made about the individual parts. One must move from paying primary attention to the individual features to treating the passage as an entity. How this entity fits into the broader body of truth contained in the Bible as a whole now becomes the focus. The exegete must keep in mind at this stage any essential characteristics, clear implications, or other central observations made as a result of the stages of the exegesis process pursued thus far. It is necessary now to analyze the use or reuse of the passage elsewhere in Scripture if it or any part of it is quoted or alluded to at another place. How and why the passage is used elsewhere may yield clues as to its meaning or value, and at least how it may have been interpreted within a time and culture much closer to its original composition than our own. Occasionally, an awareness of special circumstances under which it is quoted or alluded to may aid in its interpretation. Even if a passage is not quoted or alluded to elsewhere in the Bible, one must still analyze its relation to the rest of Scripture, by determining how the passage functions dogmatically in the section, book division, Testament, and Bible (usually in that order) of which it is a part. Here the exegete must ask how the passage or any of its elements compares to other Scriptures that address or relate to the same sorts of issues. In other words, one asks how the passage is similar or dissimilar to its immediate and broader context. This is, of course, a large question, but it must nevertheless be explored, based on one’s general knowledge of the content of the Bible. Finally, the passage’s import for understanding other parts of the Bible must be evaluated. The exegete must try to determine if the meaning of any other passage in part hinges on this passage, or if other elements in Scripture help make this passage comprehensible. Interrelationships or dependencies in meaning may well reach across literary or historical categories. It is necessary to determine whether or not the passage deals with issues that are in fact dealt with in the same way, or in a contrasting way, elsewhere in the Bible. An important question to ask in conjunction with this step of the exegesis process is whether or not there is any part of the message of the Bible that would be lost or rendered less complete by the absence of this passage. In effect, answering that question tells us what the passage actually contributes to the Bible. Beyond the general topics of doctrine that the passage raises or contributes to, it is necessary to identify specific issues (e.g., the problems, blessings, concerns, confidences, ethics, etc.) about which the passage has something to say. If the passage raises complications for certain parts of the theological agenda while clarifying others, this must be evaluated as well. The theological contribution of the passage must be established as accurately as possible. To what extent does the passage contribute to the solution of any theological issues and how? How major or minor is the passage’s contribution, and in what way does the passage conform to the entire system of revealed truth? To what extent is the passage theologically obscure or insoluble? The exegete must be careful in this process not to force the passage into a theological mold; any passage of Scripture has some contribution to make to theology; but some are much more obviously identified as to their theological orientation than others. By this stage, the exegete will of necessity have consulted many kinds of books and articles, such as grammars, commentaries, atlases, lexicons, etc. It is important, however, not to limit use of the secondary literature to such ad hoc consultations. A systematic survey of the secondary literature on or directly related to the passage is desirable. Investigating what others have written on the passage is necessary, both to supplement what one may have already concluded, and also to correct anything that a reading of the secondary literature might demonstrate to be wrong. A convincing exegesis should establish its conclusions both in concert with conclusions reached by some scholars and against conclusions reached by others. At this stage in the process the exegete must revise tentative conclusions reached earlier, if comparison to the work of others demonstrates the need for better analysis of the passage. Making additions and corrections to one’s work is a normal part of the process. It is especially valuable to analyze the relative weight that other scholars have given to the various components of the passage. The exegete must attempt to decide if he or she has in fact understood the passage well enough to have weighed the import of the various contents properly relative to one another, and has weighed the importance of the passage’s features in a manner that best portrays its meaning. It is of course the case that passages on which a large amount of scholarship has been published will be somewhat easier to review in this way than passages which have attracted relatively little attention from the scholarly community. Some passages have been the subject of scholarly study only in commentaries, and that not thoroughly. Others have been subjects of investigation in journal articles only with regard to limited aspects of the exegesis process (e.g., the text of the passage, or difficult words therein, but not the full range of exegetical investigation). Nevertheless, the exegete must review the literature as thoroughly as possible and be informed accordingly. There is no disagreement among scholars on the purpose of exegesis: to determine the meaning of a passage. However, some exegetes hold that the goal of exegesis is merely the determination of the meaning of a passage to its original audience (what the passage once meant), rather than the determination as well of what the passage says to a modern reader who desires to understand its import for his or her life at the present (what the passage means now). Nonetheless, the vast majority of people who study the Bible do so not as an intellectual exercise but as a spiritual one: they are looking for guidance relative to their faith and practice. Pretending that exegesis can be kept more “neutral” or “objective” by avoiding the question of current relevance of a biblical passage is thus a curtailing of activity just before the desired outcome—from the point of view of most readers—is achieved. Hermeneutics, the science of interpretation, attempts to bridge barriers that would prevent a modern understanding of a biblical text. The standards of this science are variously defined, but important to an accurate interpretation of the passage is a basic hermeneutical rule: a passage cannot mean now what it could not originally have meant. That is, there is no valid modern application of a passage that was not also a potentially valid application of the passage for its original audience. Some applications appropriate to their original audiences may now no longer be valid—for example, if the application was in part directed strictly toward some person or group or situation no longer in existence (e.g., 2 Tim 2:21). On the other hand, the extent to which a passage may have applied to its original audience may not be identical to the extent (greater or lesser) of its application to us (e.g., Exod 27:1–8). It may be noted that the exegete, the person who has developed expertise in the passage, is in the best position to recommend its proper application, as opposed to someone who has not been involved in the process prior to attempting to determine how the passage might apply. Here the exegete identifies those factors, issues, situations, life contexts, etc., that are still sufficiently analogous to that which prevailed at the time of the original composition of the passage as to constitute “comparable” particulars. Some things have changed appreciably from ancient times to modern; some have not. Where the situation of the modern reader is in essence comparable to the situation of the ancient reader as regards issues addressed in the passage, the modern reader will profit from the same essential application of the passage that the ancient reader would have properly made. Though the distinction is sometimes artificial, it is useful to ask whether a passage informs its readers or directs them. A passage containing or characterized by imperative, instruction, demand, command, etc., is a passage which in whole or in part may be said to direct the reader. A passage which describes, narrates, praises, etc., may be said to inform. Many passages, of course, do both, and the extent to which this is the case is an important feature of the application of the passage. Here it is faith or action that the exegete is interested in. While these two elements should actually go together in the life of a believer, they are distinct entities and a given passage may concentrate on one more than the other. The extent to which this is observed to be so is a factor in the application process. At this point the exegete must determine to whom the passage is directed. A delineation must be made as to whether the passage is aimed at personal or corporate application. Is it directed to a person or a group? What sort of person? What sort of group? The actual subject matter of the application must be identified as precisely as possible. A passage about personal piety is quite different from a passage about national deliverance. Location of the subject matter within the various realms of life (social, economic, religious, familiar, financial, etc.) is an appropriate step in specifying the application. A passage’s focus may be past, present, or future, or a combination of these. Some passages call for an appreciation of what has occurred. Some call for a response to what is occurring. Some call for a preparedness for what will occur on the basis of what has occurred. An accurate understanding of any piece of literature may require not only a description of what it says, but also some analysis of what it does not say. It may well be necessary, in other words, to obviate any application that a well-intentioned reader might think at first glance is appropriate to the passage, but which in fact the exegete can determine is not. Applications of any passage should be limited as carefully as possible. Two of the most common tendencies of misapplication are moralizing from narratives and universal personalizing of ad hoc circumstances. Narratives tell what happened and are not designed to provide hidden ethical norms. Nearly all Bible characters do both good and bad things; following their example or learning from the “moral” of the stories about them is risky if not carefully controlled. With regard to universal personalizing, the mentality behind the words “we all have our” is often characteristic of inappropriate reasoning from a single given event mentioned in the Bible to a common “personal” application, as if the reason for the passage’s existence is that the same sort of thing mentioned in the passage somehow happens to everyone. Applying the story of Jesus’ calming a storm (Mark 4:35–41 and parallels) by averring that “we all have our storms in life . . .” is an example of the sort of extremely common but erroneous application against which the exegete must set limits.